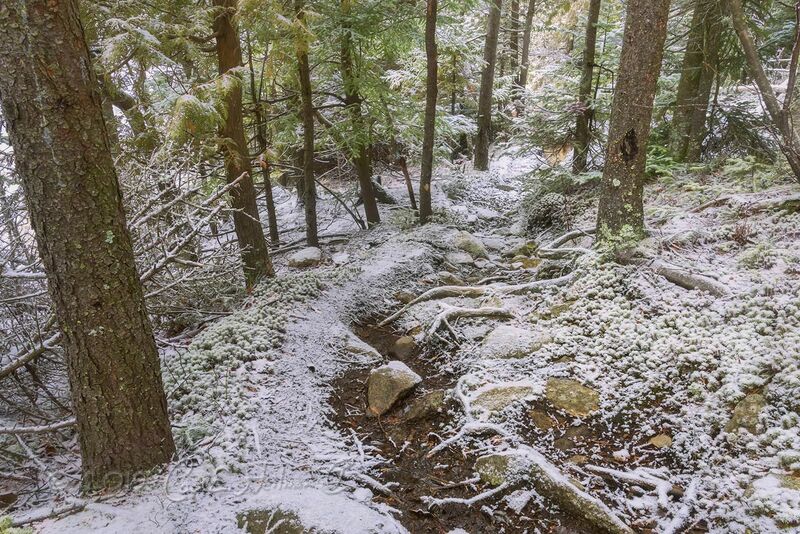 "Few fully understand what the Adirondack wilderness really is. It is a mystery even to those who have crossed and recrossed it by boats along its avenues—the lakes—and on foot through its vast and silent recesses . . ."
Not vertically, which is what most people think of when they hear the word “big” associated with mountains, but horizontally. Consider the Adirondack Park, for all intents and purposes the most useful packaging of the region. The park is defined by its famous Blue Line, so-called because somebody drew the original line in blue pencil on a map about 125 years ago. (It has been reconfigured, usually to enlarge the park, several times since.) Inside that line are 6.1 million acres, give or take. Simply put, the park is the largest of its kind—state, national, whatever—in the Lower 48. You could put Rhode Island in it and have enough room left over for Delaware and Connecticut. Toss those three aside and you could fit Maryland in. Or New Jersey, although local self-styled comedians always ask, “Why would you want to?” You could even squeeze Vermont in if you lopped a few acres off of the Green Mountain State. Yellowstone, Glacier, and Yosemite National Parks would go in nicely as a package. This is open to ongoing scrutiny by the scientific community, but most geologists consider Adirondack bedrock to be among the oldest exposed rock in the world, at somewhere beyond one billion years. It has been abused for most of that time: pushed up, worn down, pushed up again, sat on and gouged for centuries by two-mile-thick glaciers, and eroded eternally. This bedrock—which is visible in only a few places, most notably on the higher summits—has a slightly bluish cast and is called anorthosite, a very hard granitic rock that is the southernmost extremity of the Canadian Shield. It comes from our neighbors to the north via the Frontenac Arch. Think of a cross section of a slice of the globe extending from roughly Algonquin Park in Ontario to the Adirondack Park (this, tangentially, is the route of a proposed designated wildlife corridor). Ironically, although they are old below the surface, the Adirondacks are new above. The last glaciers went back to Canada only about 10,000 years ago, the blink of an eye in geologic time. Not only did they shape the Adirondacks as they are known today—the sculpted summits, the deep narrow lakes, the sprawling wetlands of the northwest, the erratics (immense boulders) left indiscriminately here and there—they also weighed the land down so ponderously that it is still rebounding to this day, rising at the rate of a couple of millimeters a century. Not so much sociologically (though the region is, in fact, less homogeneous than most people realize), but ecologically. Partly attributable to the region’s size, its segments are very different from one another. Many people equate “the Adirondacks” with “the mountains,” but except for a few scattered monadnocks here and there, most of the honest-to-gosh summits are sequestered in the eastern third of the park. These mountains are not particularly tall by many standards; only one summit, Mount Marcy, exceeds a mile above mean sea level at 5,344 feet. Any self-respecting resident of Denver, Colorado—whose downtown lies at a higher altitude than every other Adirondack mountaintop—would laugh at the notion that these are called the High Peaks. They’re not even the tallest mountains in the East; the highest Great Smokies and White Mountains exceed them by a thousand feet or more. On the other hand, when you take into account the fact that the shoreline of Lake Champlain is only 95 feet above mean sea level—making it one of the lowest places not part of a coastal region east of Death Valley—you realize that from just the right spots you can see a lot of mountain in the Adirondacks. From the rare stretches on the shores of Champlain where you can peek through notches and over ridges and pick out Mount Marcy, it’s almost a vertical mile from there to the summit. Meanwhile, the majority of the Adirondack Park is anything but mountainous. Portions of it, mostly along the fringes, even feature flat, rich farmland. But farms flourish smack in the heart of the park as well. The salads you eat in those upscale resorts and dining establishments in Lake Placid and Saranac Lake consist of ingredients grown within 20 miles of those two mountain villages. Most of the park, though, is rolling, heavily forested, and well watered. 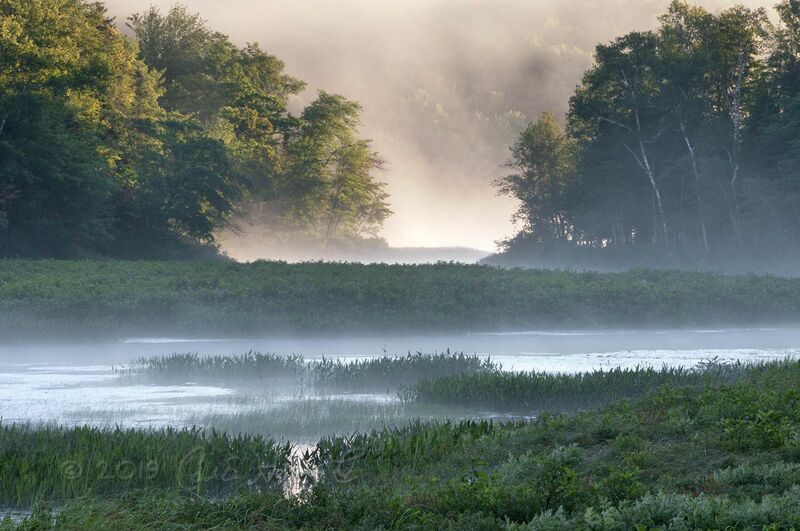 In fact, the dominant geographic features in these vast stretches of lonely territory are lakes, ponds, and rivers—wonderful for paddling—along with bogs, mires, and marshes that harbor a remarkable variety of flora and fauna— meccas for naturalists. This is the land of nearly impenetrable forests, of hunting and fishing, of snowmobiling for mile upon mile down abandoned railroad grades, where escaped convicts from nearby maximum-security prisons can go undetected for weeks until the blackflies wear them down. 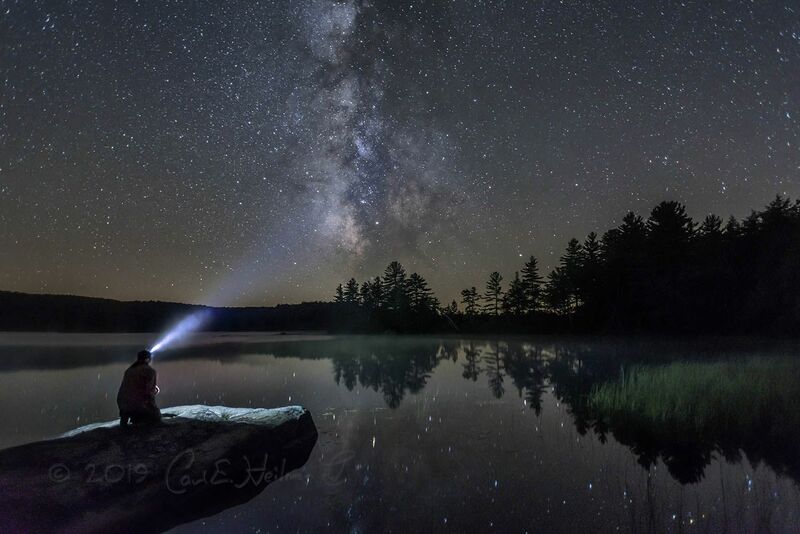 It’s said of many places, “If you don’t like the weather, wait a few minutes.” That cliché can apply to the Adirondacks too, but a more accurate testament might be, “If you don’t like the weather, go five miles in any direction.” Adirondack meteorological phenomena are as diverse as any that can be found, to the confoundment of every prognosticator within range. A blizzard can be raging on the western slopes, courtesy of their proximity to Lake Ontario (these are known in that sector—with a certain blend of respect, awe, and dread—as “lake-effect snows,” and they can generate the greatest snow depths in the East), while not two miles away the sun is shining. At the same time, the southeastern corner can get pummeled by a nor’easter good for two feet of powder, while the northwest admires skies so blue it hurts to look at them. 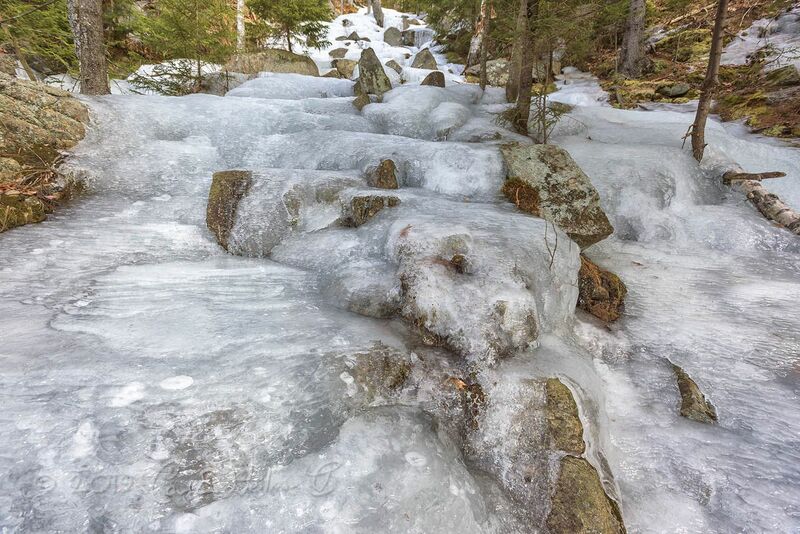 Southern Adirondackers may bask in plus-20s temperatures while northern Adirondackers congeal in the minus-20s. Management-wise, that is. The region’s size and diversity, plus an organizational oddity, render it maddening to govern. 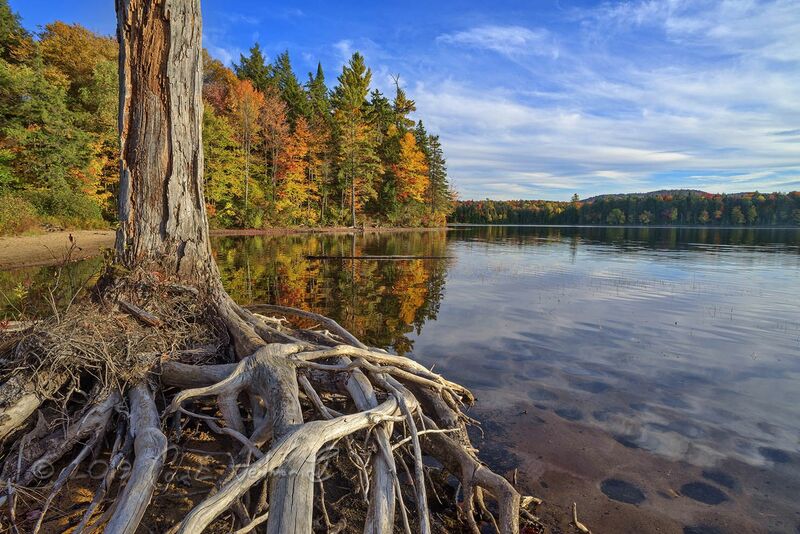 Here’s the oddity: unlike most other parks, the Adirondack Park contains both public and private land. 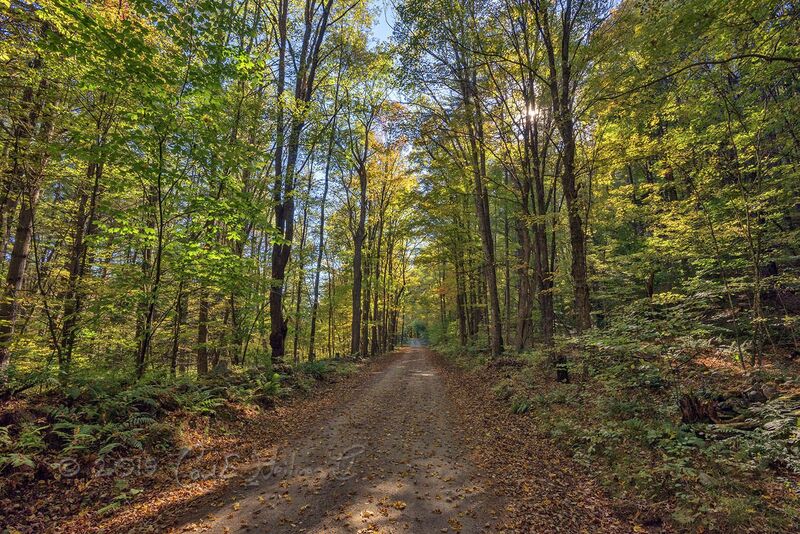 The public land, known as the Adirondack Forest Preserve, is inside the park and consists of numerous detached parcels of varying acreage that are owned by the State of New York. The Forest Preserve in 2019 accounts for only about 43 percent of the park’s aforementioned 6.1 million acres. Since approval by the voters in 1894, it has been perpetually protected—under the iconic “Forever Wild” clause of the New York State Constitution—against development, incursion for human purposes, and even lowest-level forest management (in most places one must use hand tools, not chain saws, to clear blowdown from trails, for example). Only an amendment of that hallowed document by the voters of the state can permit any alteration to the Forest Preserve. In concert with all of the above, which barely scratches the surface anyway, no one is sure what the Adirondacks are, or exactly where they are. Are they just high mountains tucked into one corner of a park? Are they the sprawling swamps and wooded hills far to the west of there? Are they the organic farms and prosperous orchards of the Champlain Valley and the decaying cores of dozens of little hamlets? Are they the abandoned mines of Lyon Mountain and Tahawus and Star Lake, the empty, echoing paper mill in Newton Falls, the struggling stores and cheesy tourist attractions? Or are they merely the great views and beautiful scenery, and nothing more? Who is to say? Ask those questions in any tavern north of the Mohawk Valley. 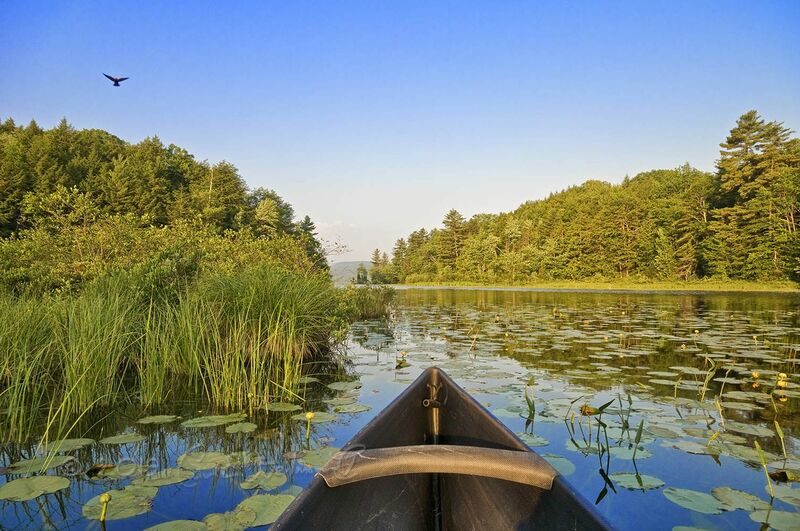 Ask if the Adirondacks and “the North Country” are one and the same, or whether they are separate, distinct regions, or where their boundaries are, or if they intermingle here and there. You will get as many answers as there are lumbermen and truckers and farmers and real estate agents and retirees and prison guards and town supervisors at the bar. That has been the case since those regional designations came into existence, and it will be so for time immemorial. The Adirondacks will never be defined to everyone’s satisfaction. 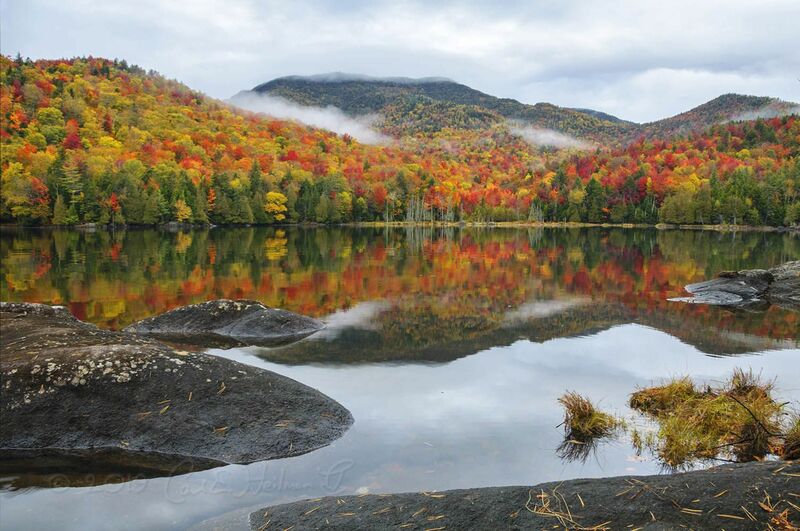 This was an excerpt from The Trails of the Adirondacks: Hiking America's Original Wilderness - with photos by Carl Heilman II, foreword by Bill McKibben, text by Neal Burdick, and a contribution by the Adirondack Mountain Club.